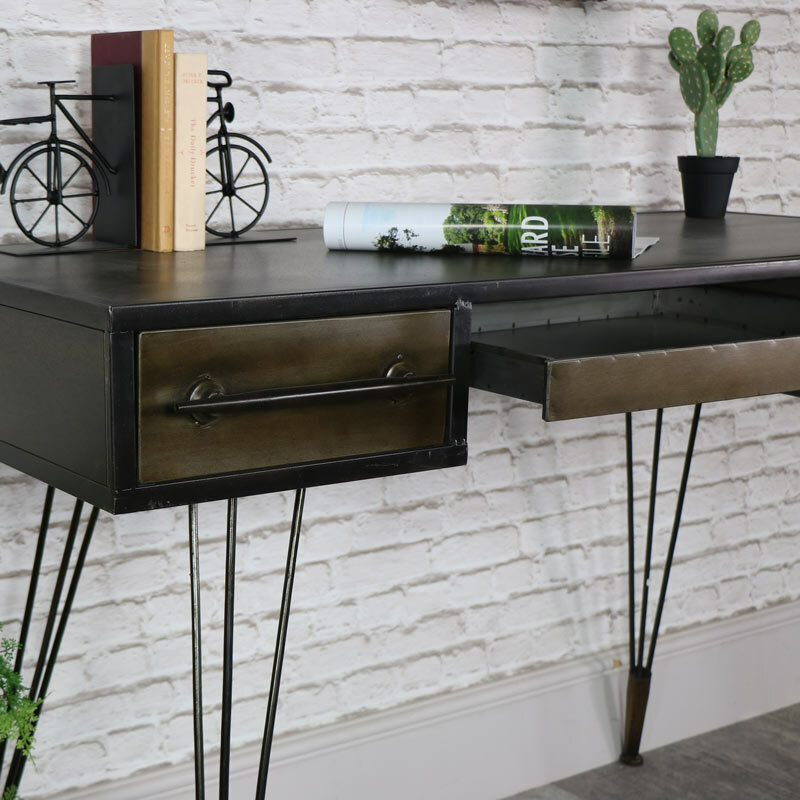 Large retro industrial style dressing table/desk/console table, this item is constructed from metal and would be ideal for the urban loft living style décor. 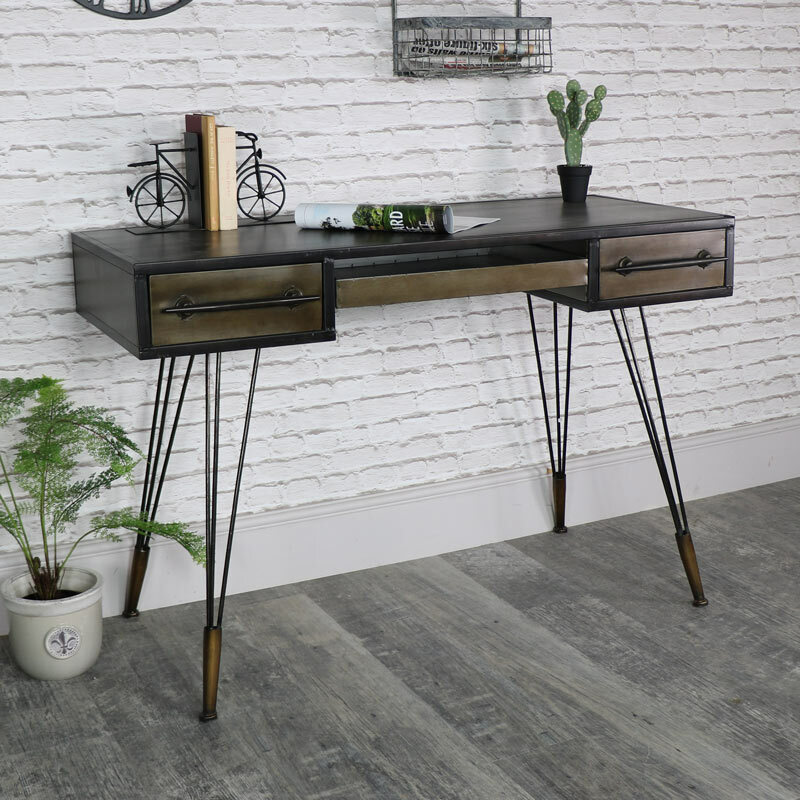 This piece of furniture is not limited to its used and is so versatile that it could be used in the bedroom as a fabulous dressing table, or even in the office or study as a desk/writing bureau, as well as the living room as a console table. 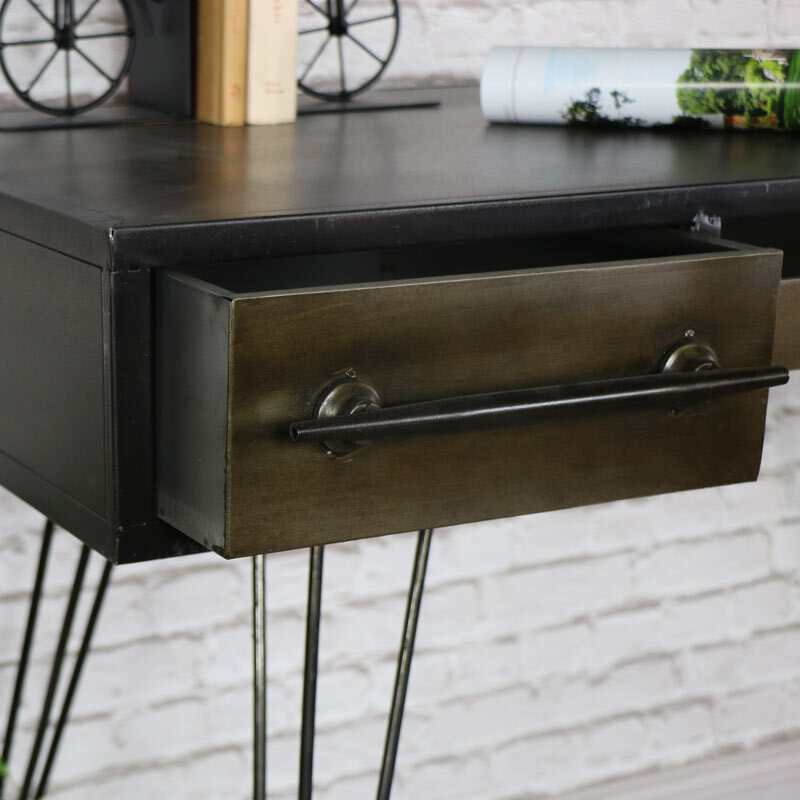 With 2 drawers and a pull out shelf in the centre all resting upon stylish hairpin legs. This fabulous contemporary design will suit many interiors to help make the most of your décor. Matching bedside/side table also available. 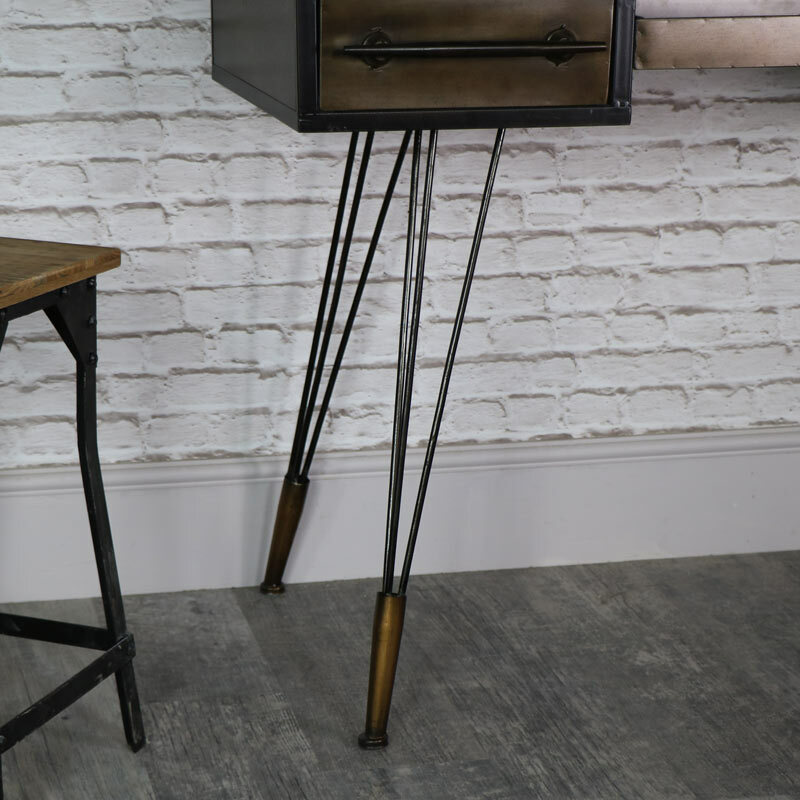 We have many more fantastic pieces of furniture to suit every style and personal taste.